Blog: New Year, New Room! New years’ resolutions come in all different shapes and sizes. Whether you’re wanting to live a more active and healthy lifestyle, spend more time with your friends and family or work towards furthering your career. A new year is a perfect chance to make changes in your life, to start something new. There is another way to change things up in your life: your home décor. While redecorating completely can be quite daunting and expensive, there are some small things you can do to change the look and feel of a room. 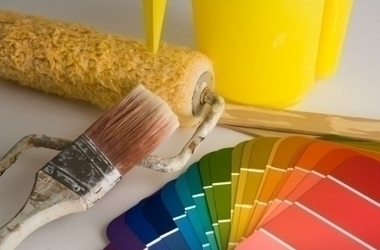 If it’s time for a change in your home, try one of these ways to refresh your décor. Update Your Pictures: Switch up your wall art. Use different frames and a different arrangement to alter the overall look of a room. Still have elementary school photos of your teenagers, or college grads? Head over to a photo centre and update them. You can also switch from art prints to family photographs or vice versa. Hang New Curtains: Generally, fabrics are a quick and easy way to change up a room. Lighter, darker, brighter, simpler – however you choose to go, a new pair of curtains will have a big impact. Sticking with fabrics, a new throw for your couch or updating your accent pillows will have a similar effect. Get a new rug: Sometimes it’s easy for us to not notice what we’re walking around on but adding or switching a rug can make a big difference. Different colours, patterns and textures all give a room a different feel. If you’re switching up your new curtains try getting a rug that plays well off the new colours or vice versa. Move things around: If you keep everything exactly the same but just rearrange the placements, it will still make a difference in the room’s overall impression. Try moving your couch if possible to another wall and even your TV. Switch up what you’ve become used to if you feel the need for a refresh and it may feel like a totally different room. Switch up your lighting: A change in lighting instantly changes the mood of a room. Consider adding a dimmer which will allow you to control that mood as you please. Turn it up when practical, or turn it down for a cozy evening. Also try switching up your light fixtures. Stores like Home Depot, Lowes and Coscto constantly have sales on fixtures and range from modern to clean and classic etc. A new ceiling fixture or a great new chandelier can totally revamp a rooms feel. Change out your knick knacks: Adding a few carefully chosen objects to coffee tables, fireplace mantles or side tables can help you tie in that new rug, curtains and/or paint colour. If you already have some, switch them out or try them in a different room. You can even try rotating them throughout the seasons for a quarterly refresh!